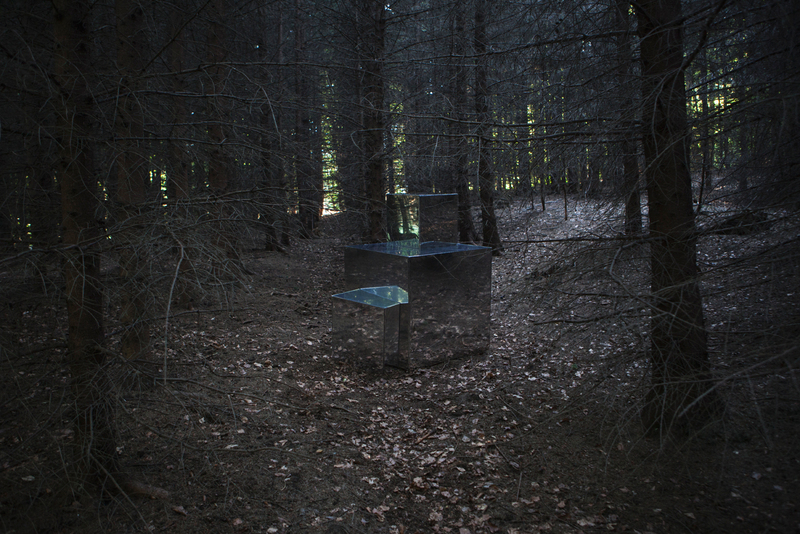 The Phantom raises questions around space and time; hybrids between the natural and the artificial; self-perception; and the distortions of space affected by the human gaze. To our mind, crystal is a physical representation of time, which changes not only the individual but also their environment. This oversized pyrite-like structure composed of mirrored surfaces, constitutes an anomaly in space that fractures the normal perspective we are familiar with. This distortion suspends the conventional conception of space and challenges us to recombine the reflective elements to form a new whole. The object goes into hiding, blending into its surroundings.